This is no longer a big news as if it were; I would have made this post title be like “Paypal accepts Nigeria Legally.” or “Nigeria and other African Countries Added To Paypal legally. Yea. You all know that Paypal restricted some countries from using there services before now. The decision to restrict some countries was as a result of high rate of fraudulent activities associated with some of these countries, so in measure to protect her users, they had to put a ban to some reported countries like Nigeria, Cameroon, Ivory Coast, Zimbabwe and some other countries around the continent I may not be able to mention in this post. I am sure after Ebenezer Obasi finish his celebration, he will come to realize that he shouldn’t have wasted much time celebrating but should have been experimenting. 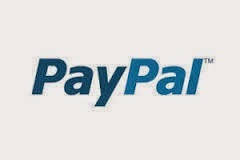 Uptil now, I still have some of my blogger friends unable to link there Nigerian Debit account to there Paypal account. For Nigerian users who have been using the Paypal account, you will agree with me that this does not make sense at all. Now my questions is, are they going to reinstate this functionality or there is a roadmap to root out some kind of hanky panky jubilation or what? Oops! I guess I am yet to receive an answer. I bet you have tried putting up this stunt right? Yes. Even uptil Nigerian users still finding it awkward sending or receiving money. This goes a long way to show you that we don’t have any reason yet to rejoice over this news only if some of these issues are fixed. Because I see no reason I can’t send or receive money while using a paypal account. I bet you should try that from your end and see to my testimony if you can actually link a Bank account from your end. Only God knows if the popular online payment system “Paypal,” will see to fixing these common problems. For now, I have bagged my celebration pending when all these are made available. You know I am not the greedy type right? then make feel like someone who is not doing this alone. Tell me what you think about my discovery, is it same from your end? I can still link my Payoneer card. Right? Good post, Allison. Thanks for sharing. You can still test and see if it works. Though been hearing some testimonies, but i am yet to confirm the authencity of these words.